Because banding birds requires capturing the birds and handling them before the banding takes place, the banding of birds in the United States is controlled under the Migratory Bird Treaty Act and requires a federal banding permit. Some states require a state permit as well. Only official federal bands can be legally placed on birds that are released to the wild within the United States. Banders are a select group. Master Banders include federal and state agencies, university researchers, bird observatories, and private individuals. Waterfowl are banded only by federal and state agencies. Private individuals are not normally allowed to band waterfowl as the banding information is used to set harvest regulations. Persons who want to apply for a banding permit must be able to show that they are qualified to safely trap, handle, and band the birds. The applicant is responsible for acquiring all training; none is provided by the Bird Banding Laboratory. Some potential banders learn in an apprenticeship program, working one-on-one with an active bander. Others learn by visiting bird observatories or banding groups. Still others take courses in banding and handling birds. General Permit Information with application form and instructions. How can I get bird banding and encounter data from the Bird Banding Laboratory? Banding and encounter data are available for research purposes. Individual banding data records exist electronically starting in 1960. 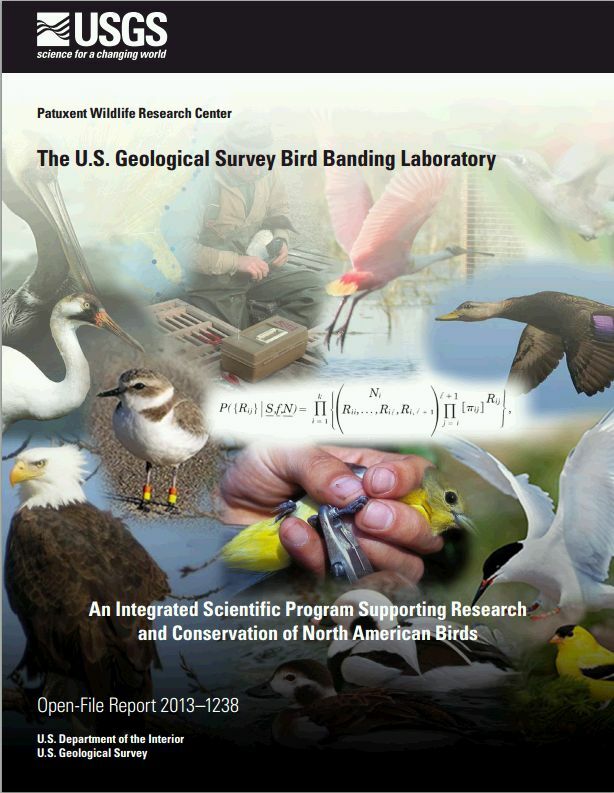 Pre-1960 banding data are available only for birds that have been encountered. Individual encounter data are available from 1913. To make a data request go to the Banding and Encounter Data page . What functions are available in the Bander Portal for bird banders? I have a federal permit to band birds. How do I order bands? If you already have a federal permit or sub permit to band birds, sign in to the Bander Portal to order bands and/or confirm bands as received. How do I submit bird banding and/or bird recapture data? Bird banding and band recapture data from banding activities must be submitted to the Bird Banding Laboratory using Bandit, The Information Manager for Banding Operations . Bandit is desktop software (not a website) that must be downloaded to your computer. The software is available for both PCs and Macs. How do I renew or modify my existing federal bird banding permit? How do I obtain a federal bird banding permit? What are the ethics and responsibilities of Bird Banders? No, banding does not hurt birds. When proper techniques and equipment are carefully employed, it’s a safe procedure for birds. Trained banders, who apply their expertise and thoughtfulness towards the health and well-being of the birds, follow strict procedures based on the Bander’s ethic code . How do I get a certificate of appreciation after reporting a banded bird? I found (or killed) a bird with a band or color marker around its leg. What do I do? A member of the field crew holds a recently banded least tern chick, displaying both its metal permanent band and its plastic field readable band. A color banded plover in the hand of a scientist.